It's surprising that I'm finding the time to get anything posted lately, but here it is a little after 9 and I've actually got a few minutes to myself. I don't have much time though, so how about a quick pair of cards from the 2015-16 Upper Deck Portfolio release that have been sitting in my draft folder for months? I have no interest in the Portfolio set proper, as seems to be the case with an increasing percentage of modern releases. I do love a good "wire photo" card though, and there were a bunch of these included as a subset in the Portfolio release. Well, two subsets really. 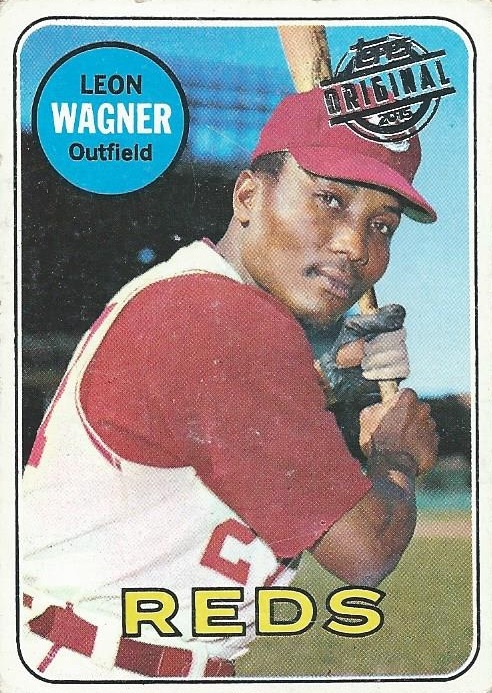 Cards 251-270 on the checklist are wire photos of current stars or retired greats, like The Great One here. 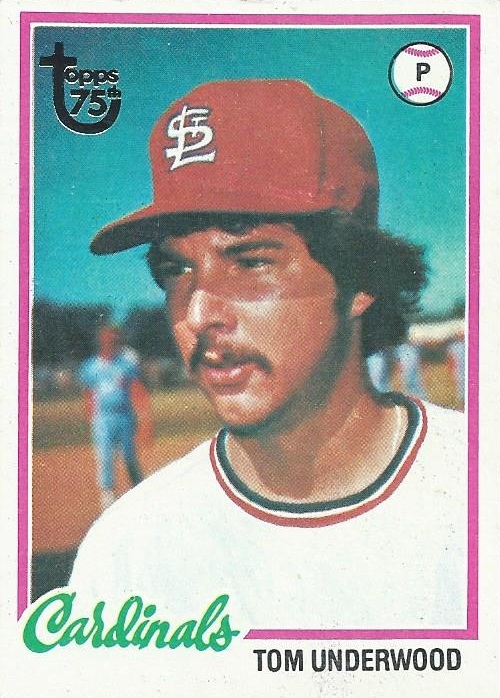 Cards 296-315 are wire photos of the hottest rookies at the time. Not sure why they broke them into two separate groups like that. As the caption on this one indicates, the photograph came from a game on October 9th, 1993. 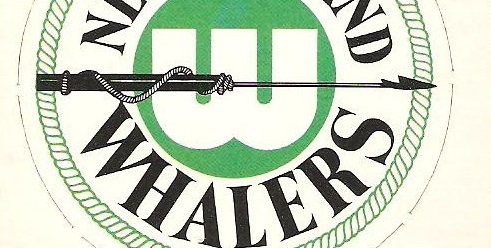 Thanks to the wonder that is the internet it took me about ten seconds here to look it up and see that Wayne had himself a nice night with a pair of goals and no fewer than four assists in a 10-3 route of the Wings! With a single click of the mouse I could even buy a ticket stub from that game on eBay for $20 if I cared to. We're living in a world of convenience. 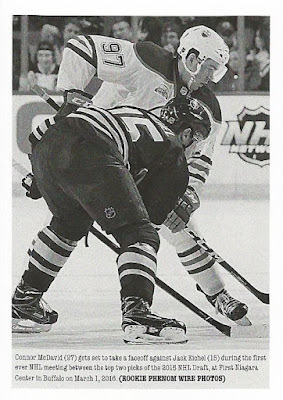 My lone complaint is that the backs don't always reference the specific game that the photo is from, but instead sometimes have a generic write-up from that overall time in the player's career. How much more interesting would this card have been had Upper Deck given us a brief write-up of the game itself? 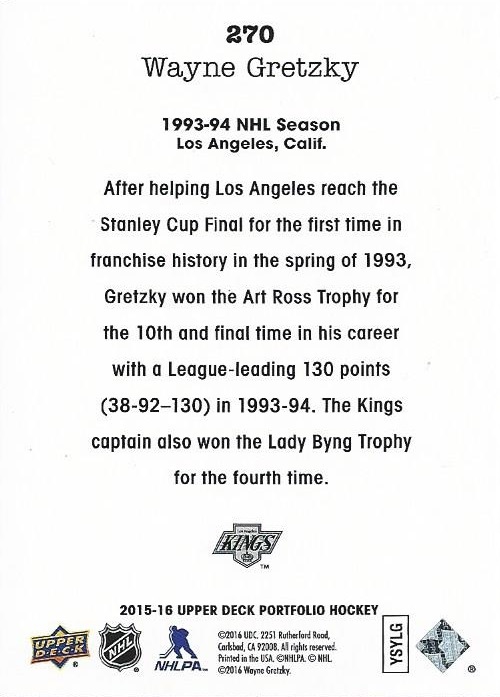 Maybe detailing the unlikely hat trick scored that night by Gretzky's teammate Dominic Lavoie, who had just five career goals (true fact!)? 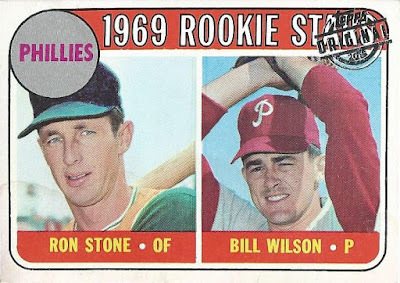 The lot of these that I picked up contained 20 cards in total, exactly half of the available wire photo cards from this set. 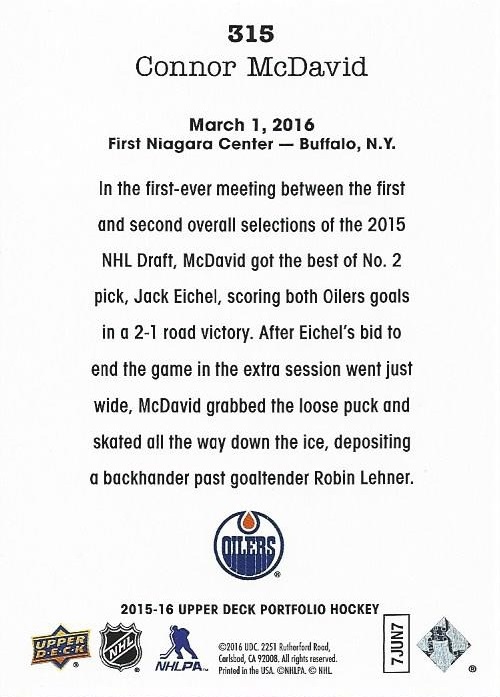 I enjoy all of them, but the big draws for me were the Gretzky and this Connor McDavid. McDavid was obviously the big name in the hobby at the time this set came out, and although I've already got the only card of his I'll ever want, this was another cool pseudo-rookie card for cheap coin. The back of this one actually does reference the depicted game. 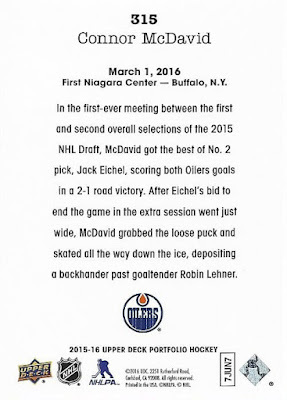 Connor potted the only two goals for the Oilers that evening, including the game winner in overtime, in what was his first appearance against the #2 overall pick from his same draft class, Jack Eichel. 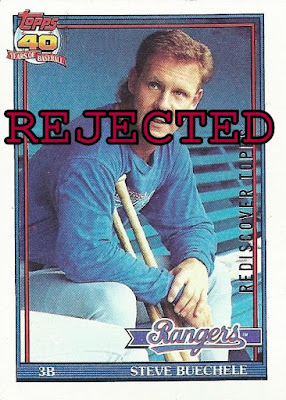 Coming out of the gate strong with a card that, to me personally, has always been one of the more memorable ones from the 1990 Topps release. Bonilla was a beast during this period too, and actually finished second in NL MVP voting in 1990 thanks to his 32 home runs, 39 doubles, and career high 120 RBI. ...I'd rather slide this one into that binder. 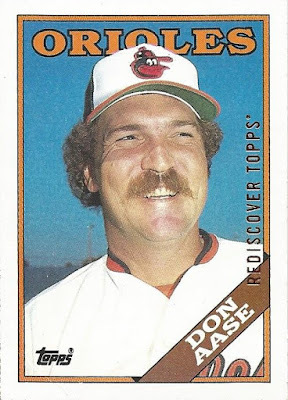 If I ever end up with a duplicate copy of this one though Dave Johnson will be in serious trouble. 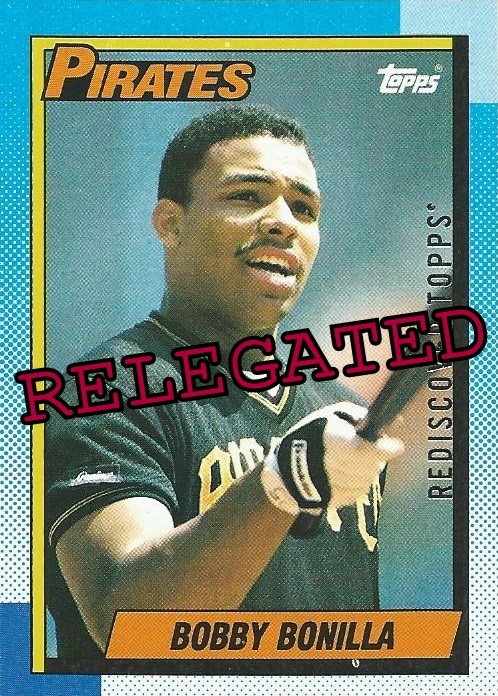 A second straight 1990 buyback to start things off. Jeff Russell was a very solid pitcher for a few years in the late '80s/early '90s. 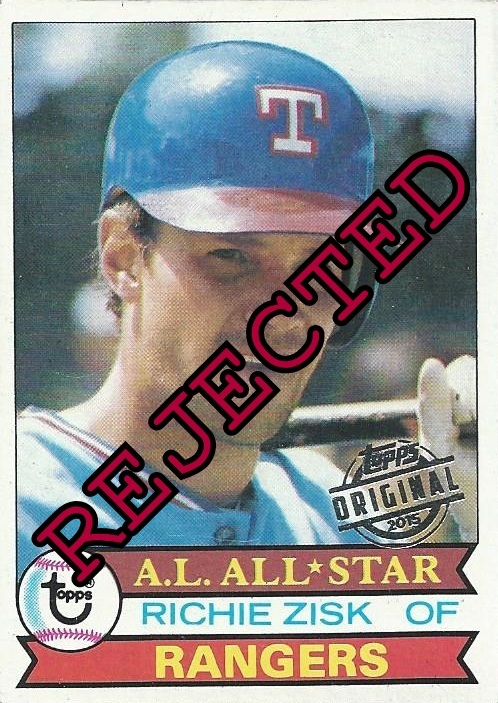 He became the Rangers' closer in 1989, and responded with 38 saves and 66 games finished, both tops in the league! I'd yet to acquire a #80 buyback, so this one makes the franken-set binder by default. I think I've mentioned this before, but the '88 Team Leaders subset cards are among my least favorite Topps cards of the '80s. I think the cloudy borders always bothered me. The Phillies managed just 65 wins in 1988, not a very impressive team at all. 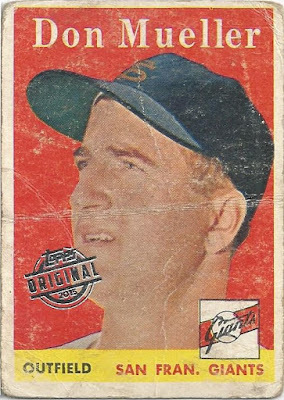 This is the first #669 buyback in my collection so far, so it also makes the binder. It won't take much to bump this card if it ever comes down to that. Don Aase began his career as a Major League pitcher all the way back in 1977 with the Boston Red Sox. 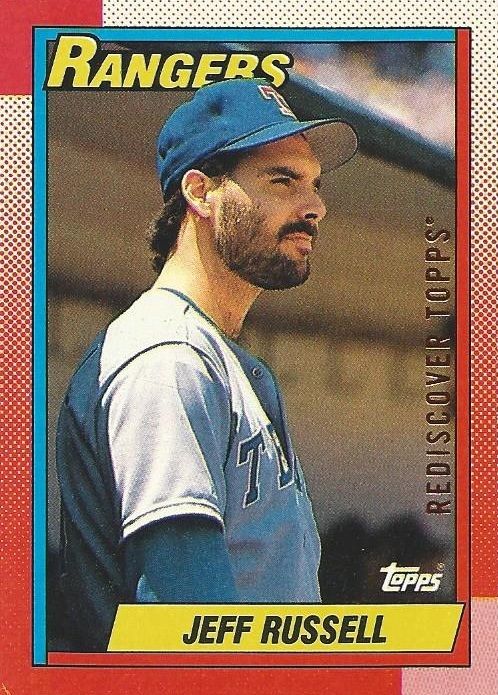 By 1988 he was on the back nine, and tossing out of the bullpen for Baltimore. He appeared in 35 games that season but did not record a win or a loss, which is interesting. Unbelievably this is the third straight card here that's a new number for the project! I seriously doubt whether I'll ever get three consecutive new numbers like this ever again. 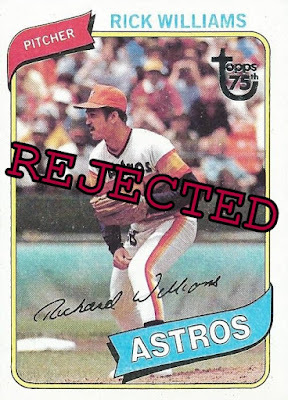 A really nice buyback here. This one came my way as part of a lot I picked up on eBay that worked out to around 25 cents per card. I love it because Lance Berkman had an absolute monster season in 2006. Just how good? 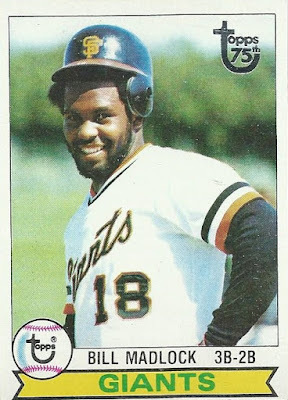 How about a .315 average, 45 home runs, 136 RBI and an OPS of 1.041! 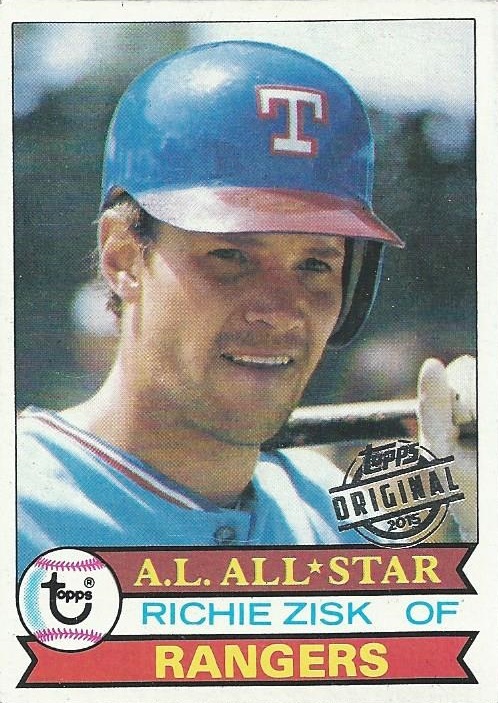 Lance finished 3rd in MVP voting that year. Amazingly, I had a different Astros first baseman/outfielder in slot 21. 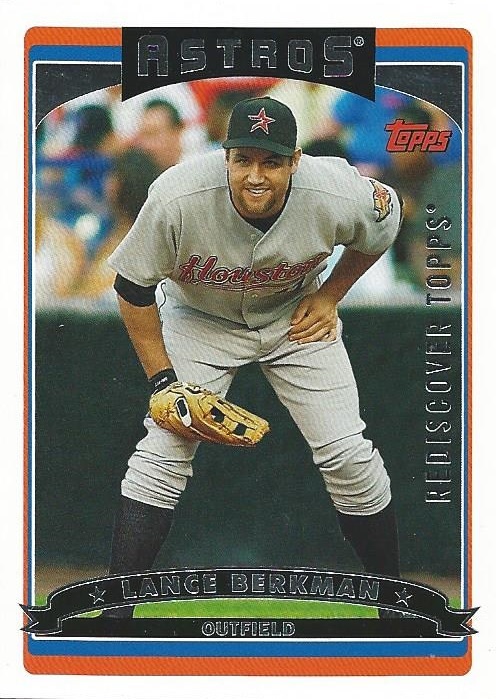 Obviously going with Lance Berkman over Bob Gallagher. Mike Sweeney had some very solid years for the Royals between 1999 and 2005, but 2006 was where he really started experiencing a drop-off in production. 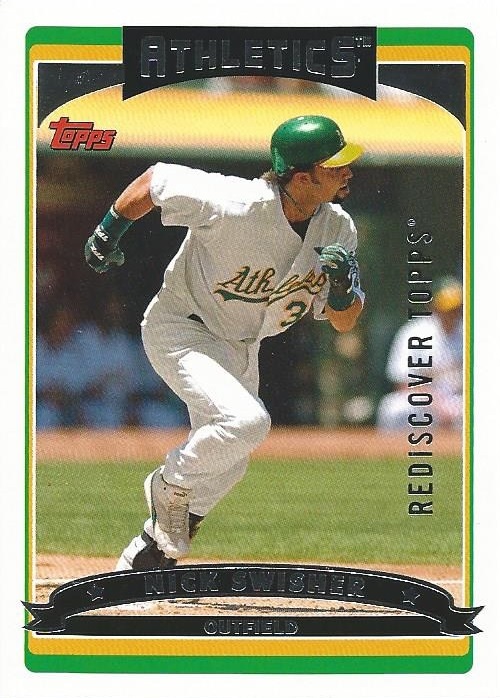 Health was certainly a factor, as he never appeared in 75 games in any season after '05. 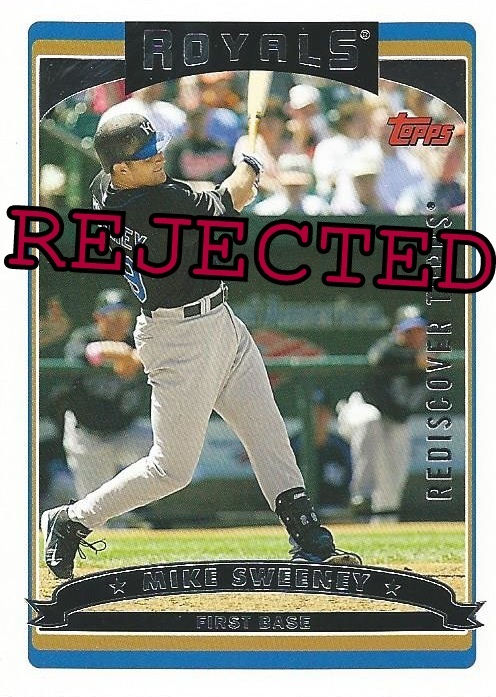 Rough match-up when it comes to the franken-set too, as Sweeney is pitted against Bill Madlock. 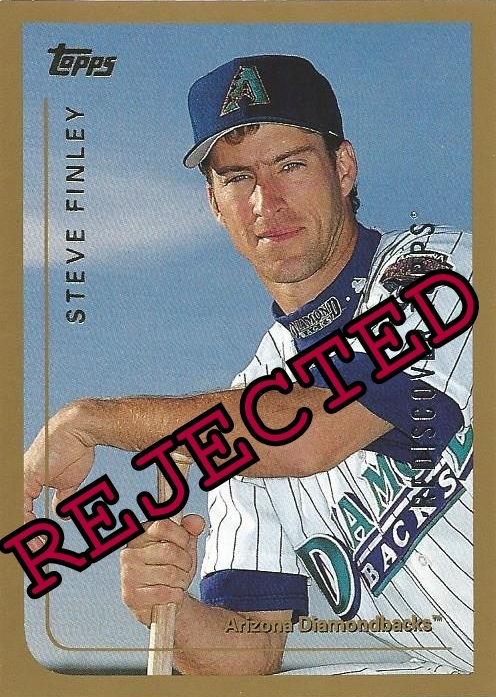 I like this one because I don't have many 1999 Topps buybacks, and I don't have many Arizona Diamondbacks buybacks either. 1999 was Steve Finley's first year in Arizona, having signed as a free agent in the off-season. 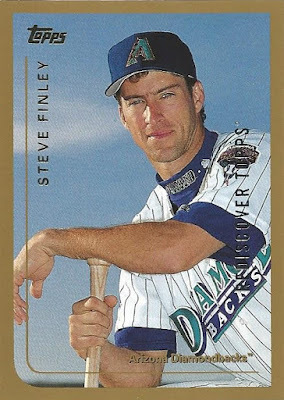 He had a great first year in the desert too, clubbing 34 home runs and a career-best 103 RBI, while also providing Gold Glove-winning defense in center field. This extremely beat-up Don Mueller already calls slot 253 home. I decided to keep the Mueller where it was, but having thought it over some more I think I probably made the wrong call here. You don't run into many pre-1960 buybacks, and I think I let that influence me more than it should have. I could easily see myself swapping these around someday. 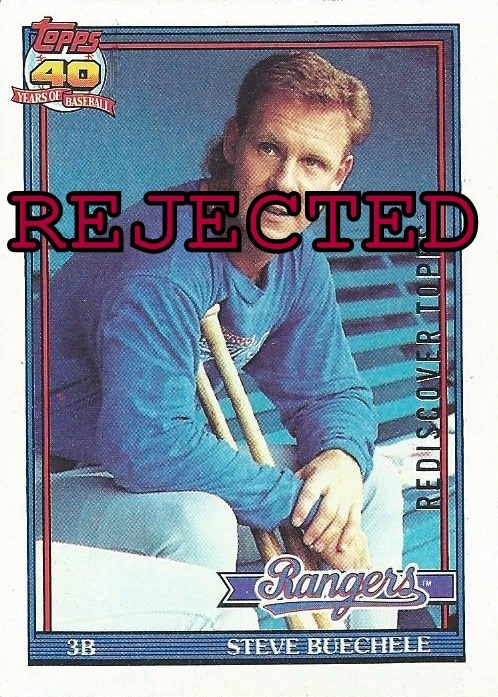 Steve Buechele split his 1991 season between the Rangers and the Pirates, who acquired him in trade in late August. 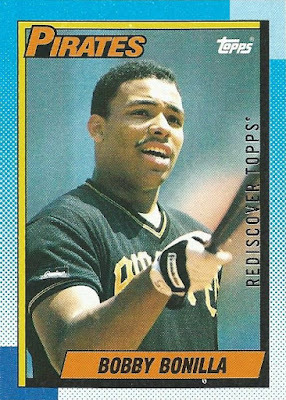 He had arguably the best season of his career, setting personal highs in home runs and RBI while batting 17 points above his lifetime average. An interesting dugout shot here too, though the lack of a ball-cap bothers me. 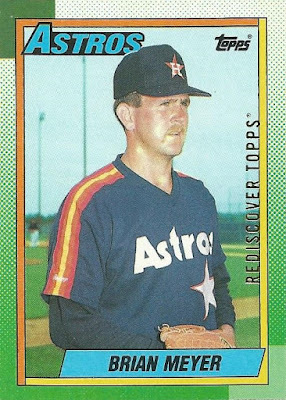 ...and hat-less Steve Buechele isn't enough to change that fact. 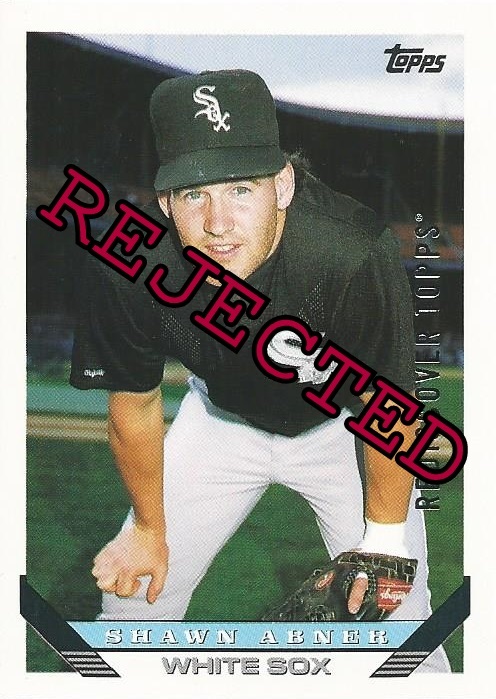 Last card for tonight, featuring outfielder Shawn Abner. 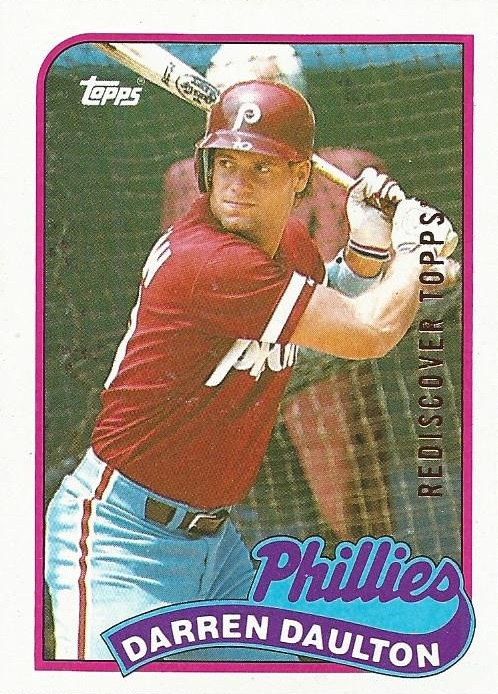 Shawn's 6-season career actually wrapped up in 1992, making this a sunset card. 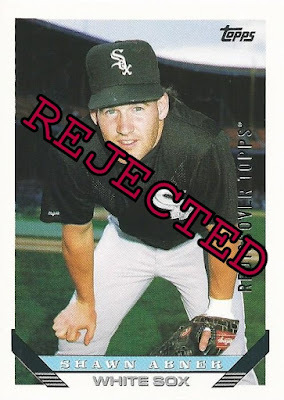 Ultimately, he just couldn't put up the type of offensive numbers that you expect from an outfielder. 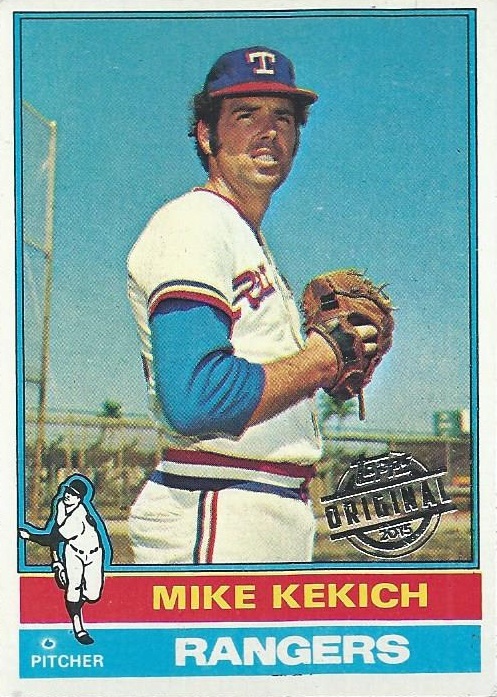 ...and Kekich will remain in the binder for now. Three new numbers out of nine cards, I'll take that. 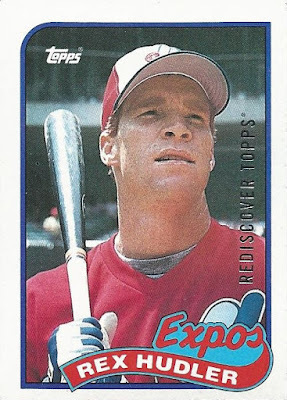 Coming up next I've got a batch of buybacks from my good buddy Dimebox Nick as the charge towards 1,000 continues! Last year I officially decided to chase the 1950 Bowman baseball set, as sort of a life-long goal. 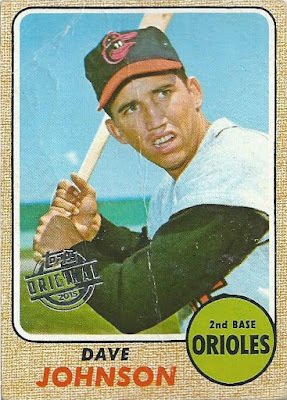 The first vintage card I ever got my hands on as a kid was the Maurice McDermott from this release, a gift from my Dad from an antiques store near our house. 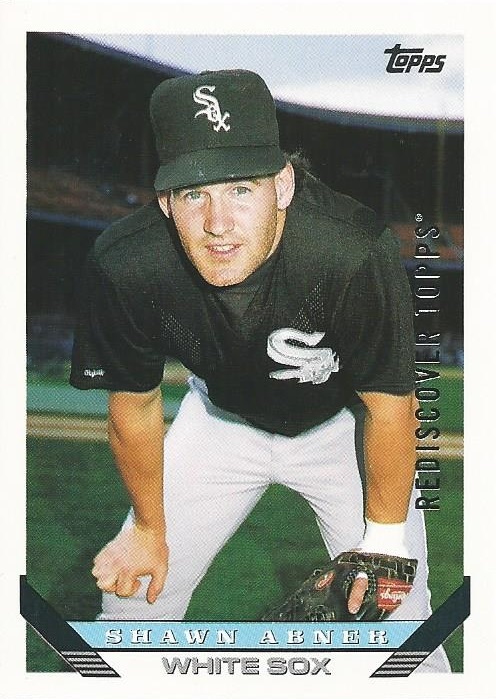 I've been enamored with these under-sized cards ever since. 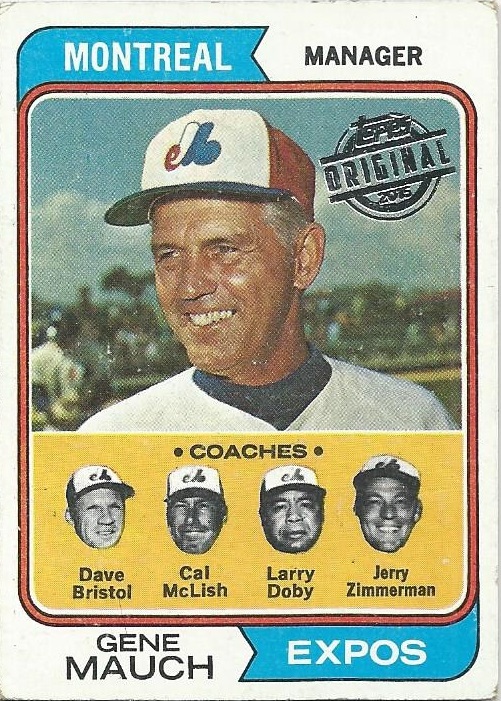 I've got a few of these back-logged; cards I've picked up over the past few months but just haven't found the time to scan or post. Since we're almost two months into 2018 here it's about time I got around to featuring one. 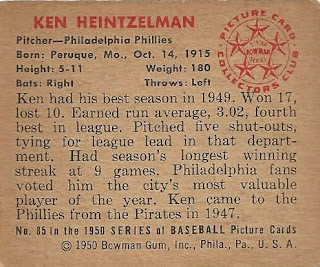 Ken actually saw his first MLB action all the way back in 1937, with the Pittsburgh Pirates. 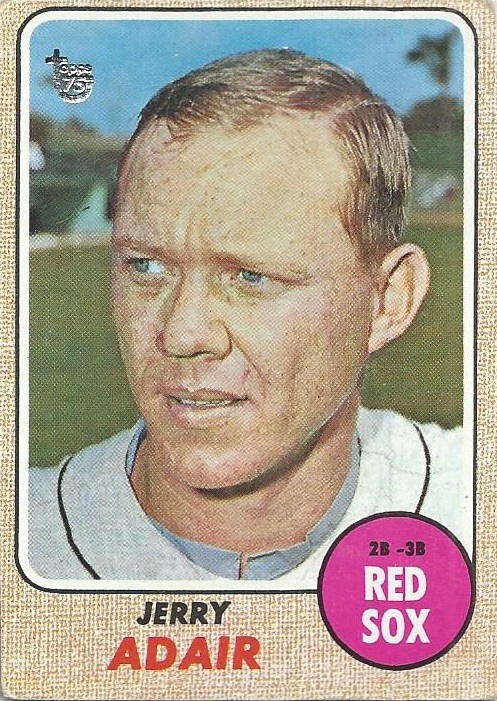 He remained with the Pirates until 1947, posting a 37-43 record with a 4.14 ERA during his time with the team (where he was sometimes a starter, sometimes worked out of the bullpen). During the 1947 season the Phillies purchased him from Pittsburgh, and he spent the remaining few seasons of his career with Philadelphia. 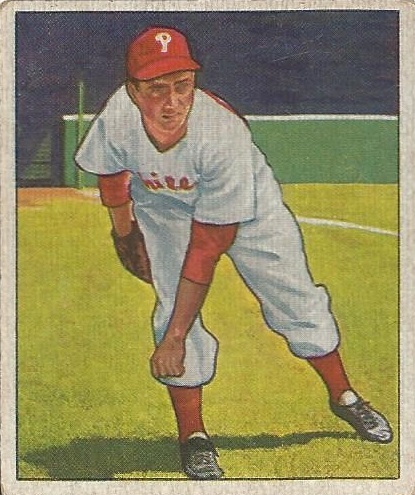 His best season was probably his age 33 campaign in 1949, where he was used exclusively as a starter, a move that paid dividends for the Phil's to the tune of a 17-10 record, a respectable 3.02 ERA and 5 shutouts! Here's a look at the back. Lot of overlap with what I just wrote above actually, whoops. 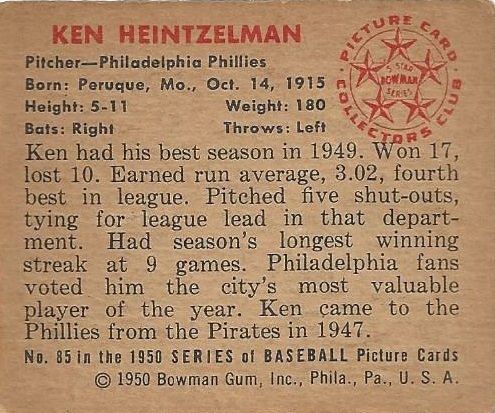 What the back doesn't mention is that, like so many in his generation, Ken missed a few of what would have been the prime years of his career fighting in WWII. The Greatest Generation, indeed. Why? : I was drawn to this one because I love vintage hockey cards, and because I thought it would pair nicely with the beautiful Jacques Plante I landed from this set last year. 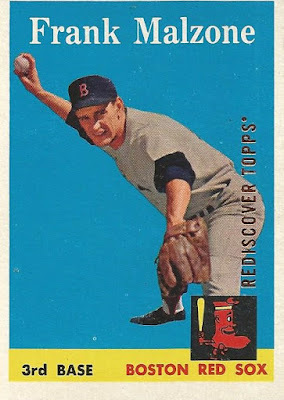 Like the Plante, this card is in impressive condition given that it's now more than 60 years old. 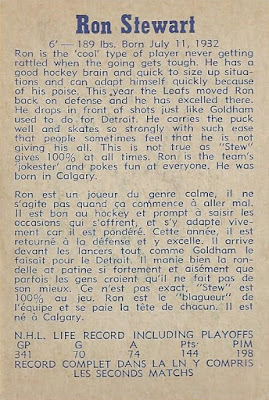 Ron was a member of the Maple Leafs team that won three consecutive Stanley Cups in the early '60s. 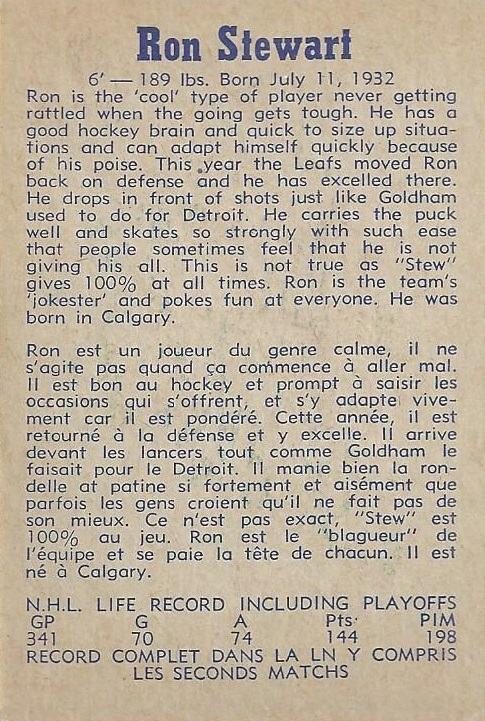 In the latter half of his career he spent time with the Bruins, Blues, Canucks and Rangers. Stewart even played in 18 games for the Providence Reds of the AHL during the '71-72 season, something I wasn't aware of when I purchased the card but that gives it a cool local connection for me. 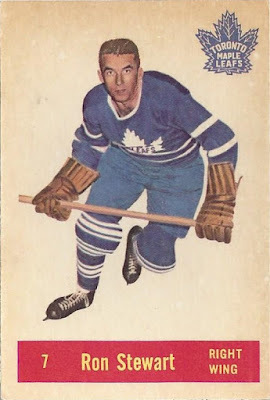 As I said when I posted the Plante from this set last year, the backs aren't the most exciting you've ever seen by any means. 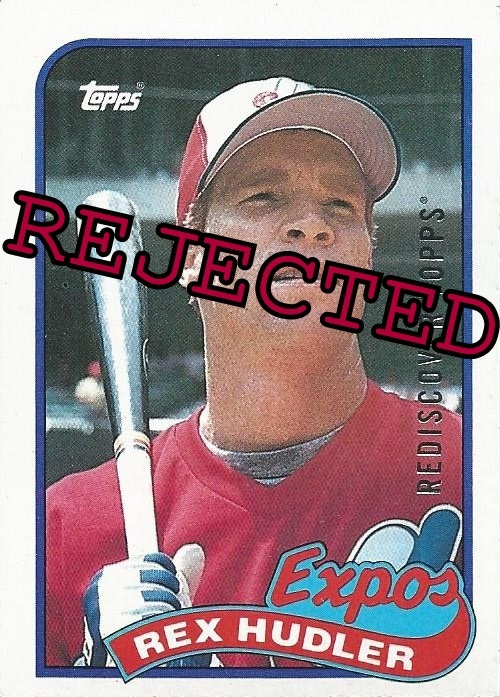 Still, a beautiful card, and I had no problem shelling out ten bucks to land my second single from this release. 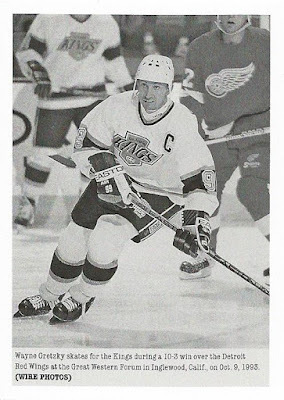 This is the penultimate card from the small hockey order I placed at the very beginning of 2018; I'll get the last one up sometime in the next week! 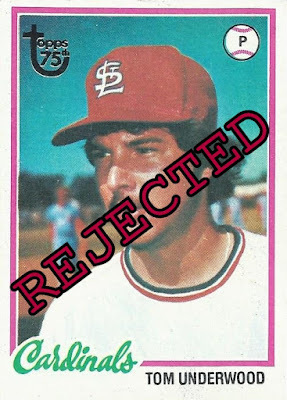 Heavy airbrushing aside, this 1979 Richie Zisk isn't a bad card. Zisk gets the extra AL All-Star banner added to his card, having been selected to play in the midsummer classic in both '77 and '78. Unfortunately, this fantastic Frank Malzone buyback is already in slot 260 of the franken-set binder. This is the oldest buyback I've obtained from the 2017 "Rediscover Topps" promotion, and for a Red Sox fan like myself this card is darn near untouchable when it comes to the franken-set. Ouch! I'm a total sucker for the combo cards of the '50s and '60s. This Willie McCovey/Leon Wagner Friendly Foes buyback courtesy of 2013 Topps Heritage is one of the better buybacks in the binder, period. After a rough start for the first two contestants, things get a bit easier for Will McEnaney. 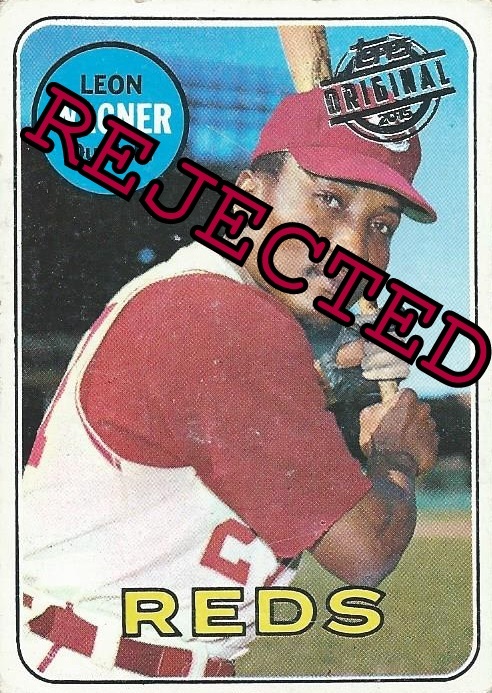 This is the first #603 buyback I've acquired to date, so Will makes the cut as a new number for the binder! McEnaney pitched in just 6 games in '78 (for the Pirates, not the Expos), so despite a somewhat interesting photo Will's spot in the binder going forward is anything but a lock. Prior to last year's "Rediscover" promotion, it was difficult to find many buybacks from 1980 and newer. 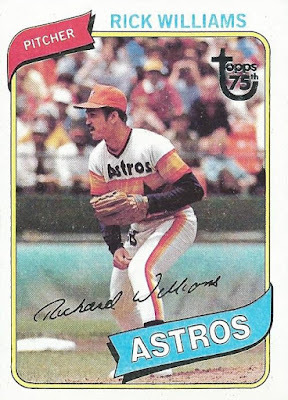 That (along with the tequila sunrise Astros uni) makes this Rick Williams buyback somewhat unique. ...and will continue to do so for the time being. ...especially not when you're facing off against a '60s Red Sox buyback. One of those rare cases where a cap-less player beats out one wearing proper skull attire. 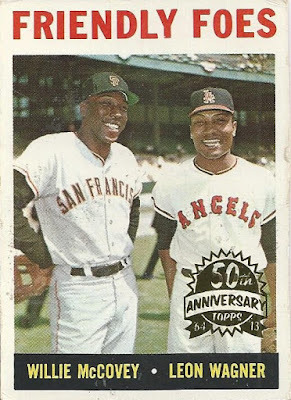 Neither one of these guys enjoyed a stellar career, but this is still a decent buyback as it's a fairly high numbered card for a '69. 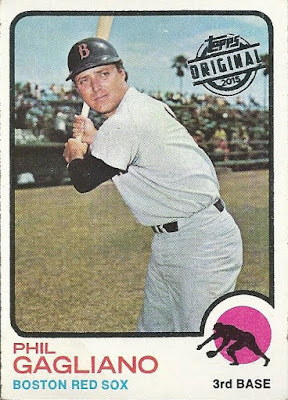 In fact, it's the second highest numbered 1969 buyback I've picked up to date, and it makes the franken-set as my first #576 buyback. 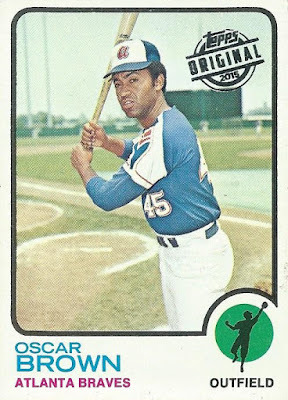 1973 was the end of the line for Oscar Brown, whose MLB career consists of 160 games played over five seasons with the Braves. 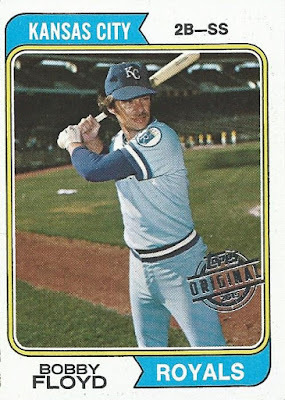 I don't care much about condition when it comes to my buybacks, but I have to say this is about the most mint '70s buyback in my collection to date. 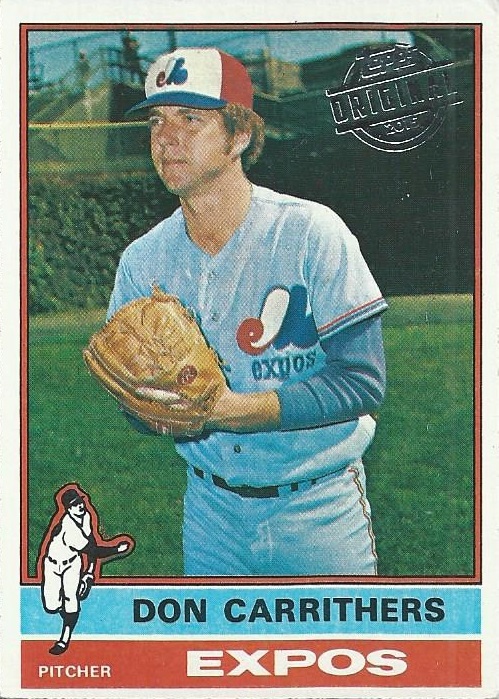 Ooh, tough draw for Oscar, as I really enjoy this Don Carrithers. Yeah, I'm going with the powder blue Expos uniform and all that green grass. 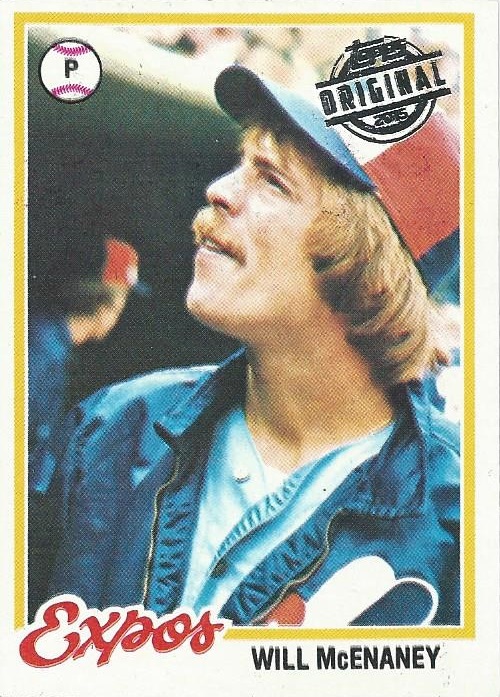 I think the photographer's focus was just off when snapping the photo used on this '78 Tom Underwood. Either that or maybe my copy suffers from some kind of printing flaw. 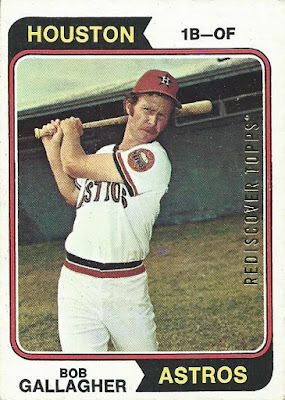 It's amazing that Tom has a card depicting him with St. Louis, as he played just half a season with the team in 1977. 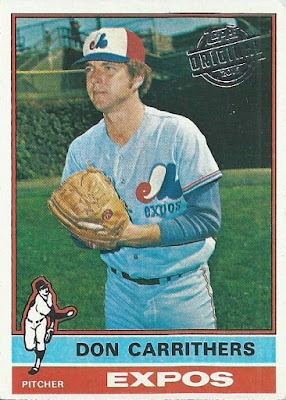 Another tough match-up here, as Underwood draws the 1974 Topps Expos coaches card. This one's notable because it's the lone appearance for the great Larry Doby in the franken-set binder. You had to know how that one was gonna go. I like this '69 Topps issue of big Leon Wagner. It's a unique card too, given that Leon never actually suited up for so much as a single game with the Reds! 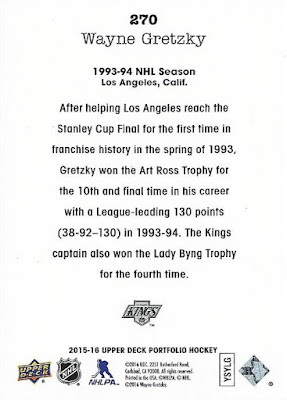 Does that random fact give it enough of an edge for it to make the binder? Well, Leon will have to oust Darren Daulton here. 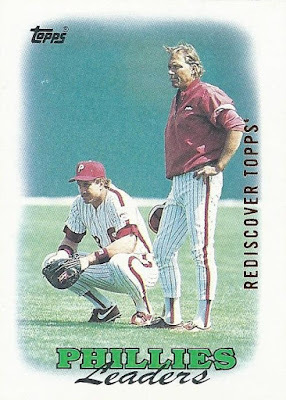 The most interesting part of this card to me is the person standing behind the netting there. Hard to tell but it almost looks like a background dancer from an '80s music video. 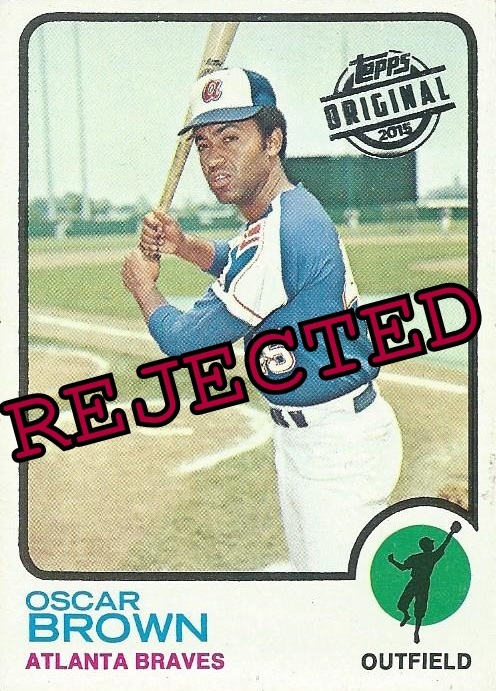 Last card of the day, and another new number to boot! That's three new numbers in today's grouping of ten, which is about the best I can hope for at this stage of the project. 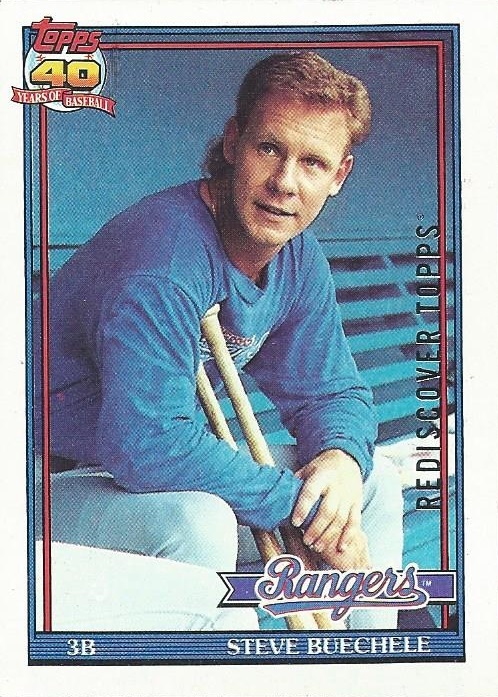 Someday I hope to land another #766 buyback so that I can shift Brian here over to my 1990 Topps buyback binder. 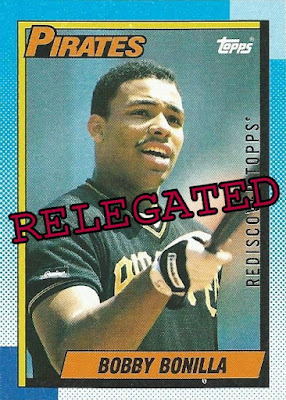 Thanks for stopping by and checking out another batch of buybacks with me. Nearly two years in I'm still just as passionate about this project as the day I kicked it off. In another few posts I'll be passing the 1,000 buybacks threshold, and I've got something special planned for that!